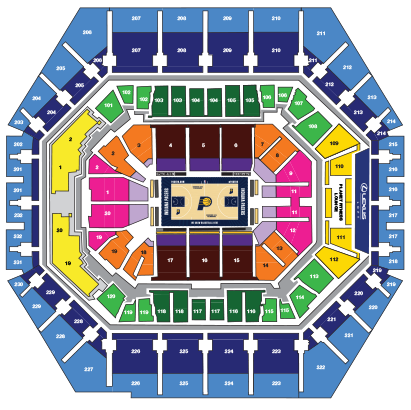 Reserve your seats today for half of the Pacers Home Games! 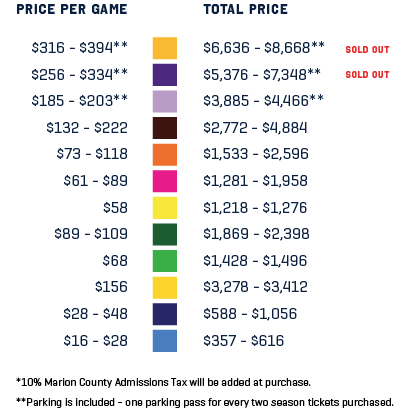 If you want a great price for Pacers home games, the Half Season Plan is for you. Guarantee seats in your price zone for every other home game through the NBA Finals. You will receive a 25% discount to Home Court Gift Shop to purchase all your Pacers Gear. You can transfer your tickets to anyone at no cost online. It doesn’t get any easier! You will have a dedicated service representative to help you with anything throughout the season. * The Pacers have partnered with Ticketmaster to make it very easy for you to post tickets to NBATickets.com, the official resale marketplace. Fans will be able to buy your tickets in confidence as every ticket is validated. Exchange unused tickets to select redemption games throughout the season. The sections below are available for the 2019-20 Half Season Plan. Interested? Have questions? Click to contact us.